Do you know the one thing that becomes a prime necessity especially post baby? Hygiene. Along with that, there comes a savior too. You guessed it right; our good old wipes! Blowing nose of your baby, potty cleaning, wiping off your hands, wiping your face and neck to freshen up, clean makeup, stove tops, tiles and what not! 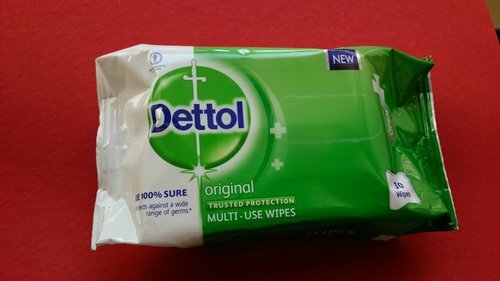 I can go on and on about the innumerous uses of wipes 🙂 So when this review of Dettol wipes came to me, I welcomed it wholeheartedly. Lets see how this Dettol multi-Use wipes fared me. Provide protection from germs for your skin and surfaces, at home and on the go. Being pH neutral, the wipes do not interfere with your skin’s natural protection while the emollients moisturize your skin. 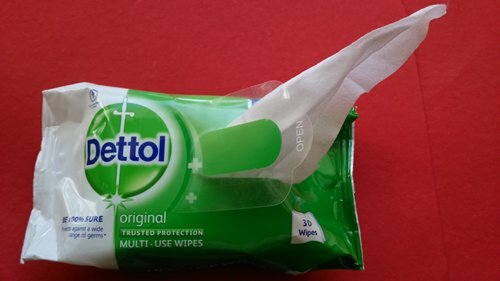 Dettol Multi-Use wipes come in green and white colored packaging. 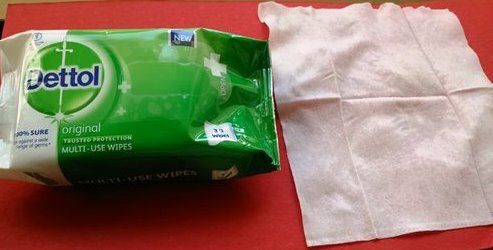 There is a plastic seal provided on the top intended to retain the moisture of the wipes. A bit expensive, taking into consideration the cost per wipe ie 3.83 rupees per wipe. I had been using the Dettol Multi use wipes for the past one week. I took these wipes during travel for my daughter and myself. The wipes are so handy as we can sanitize our hands as and when required. Since it is compact and fits well into my purse it’s a must for me when I go out. I had been cleaning my daughter’s toys, mobiles, remotes etc which are more prone to germ accumulation on an every day basis. It is expensive as the cost per wipe is on the higher side compared to the other leading wipes in the market. But if we consider the multi use feature, this attribute can be negated. Would I recommend this product? Definitely yes. If you are planning to buy wipes that are handy, provide germ free protection even on the go with multi use features, Dettol Multi-Use wipes is a must buy. You can buy Dettol multi-use wipes at Amazon or Flipkart. Very helpful review Sangeeta . I checked out the wipes today and bought a packet a too.